Boisterous, addictive and now more accessible than ever, the miracle franchise birthed from Capcom’s loins joyously celebrates its long career. About 12 years ago, the unassuming black box known as the PlayStation 2 was hitting its stride. Capcom, wanting to support the console’s network adapter, sought a game that could utilize its online capabilities. It was at this critical juncture that an idea sprung forth, a game in which multiple players could band together and take down a creature much larger than themselves. Essentially a game where all you did was raid like the MMOs of legend without having to put in ludicrous amounts of time or preparation. However, this proposed game was seen as a risk to the besuited executives of Capcom. In their quest to test the best of online console gaming, Capcom released three titles; the cel-shaded racing game Auto Modellista, the multiplayer horror shooter Resident Evil: Outbreak and the new Monster Hunter. Indeed, Monster Hunter was the quirkiest of the lot; racing games have always been popular and let’s not even get started on the undying behemoth that is Resident Evil, to top it off, bars were set high as Capcom only considered games that sold above a million copies to be successful. How could this new, niche game even hope to cross such a boundary? …only Monster Hunter broke a million. Why do I need to know this, you may ask? Well aside from the fact that stories of insipid CEOs are cathartic, it’s important to know and remember why this series should be celebrated, because Monster Hunter Generations is just that, a celebration of the entire series from its inception until today. 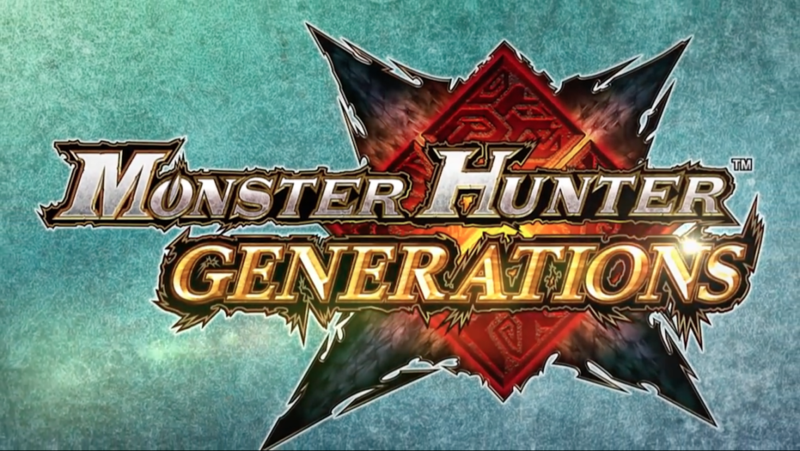 The game takes element, monsters and locations spanning the franchise’s many years and combines them into one solid package; hence the title Generations, or as it’s known in Japan, Monster Hunter X (pronounced cross…because it’s all crossing over). But I digress; so what is Monster Hunter Generations all about? In a nutshell: you kill monsters, carve them, make better equipment from their parts, rinse and repeat. One would assume this would get boring very fast, and perhaps it would, if the game didn’t sport some of the best combat mechanics we have today. While combat in Monster Hunter started off rather awkward and slow, the years and years of polish and dedication now shine brighter than ever as even on the puny 3DS, this game is an absolute marvel to play. Hitboxes are mostly accurate, weapons hit with a real sense of weight and the combos provide a myriad of ways in which to approach any given situation. Players are given a choice of 14 different weapon types, each with their own pros and cons. From the powerful but slow Great Sword to the weak but nimble Dual Blades, each weapon caters to a player’s specific preferences without any single one of them being outclassed or too overpowered. Each weapon type also possesses a vast array of variations to choose from, provided you have the monster parts to make them. This level of customization holds true to the armor crafting as well, with each one having their own set of skills and defense ratings. 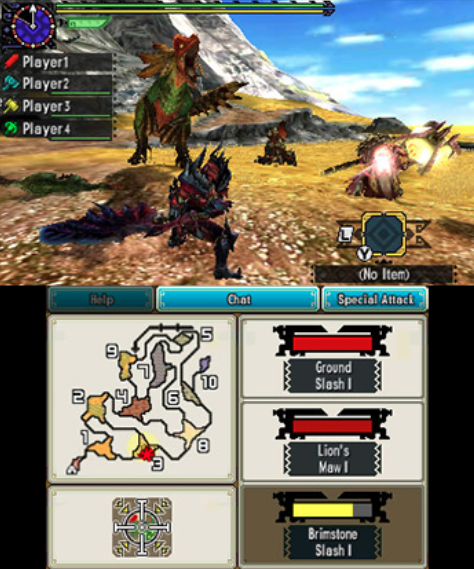 ringing a fire-based weapon to clash with a fire-resistant monster will undoubtedly prolong the battle more than if the player had chosen an element said monster was weak against. But that’s not all, certain monsters will react to specific elements in a unique way that can serve to either assist or impede the player’s progress. Those are all the bare basics by the way, none of that is new to the franchise. What Generations brings to the table however, are new mechanics known as hunting styles and hunter arts. Hunter arts are the proverbial “ultimate moves” seen in some games. They take a while to charge up and when ready, they allow the wielder to pull off amazing and flashy feats depending on what hunter art they selected. You can have an art that slows you down but skyrockets your defense, another that strikes with a massive energy blade or one that makes you invincible for a second. The amount of hunter arts one can bring into battle is dependent on the aforementioned hunting styles, with the maximum being three. 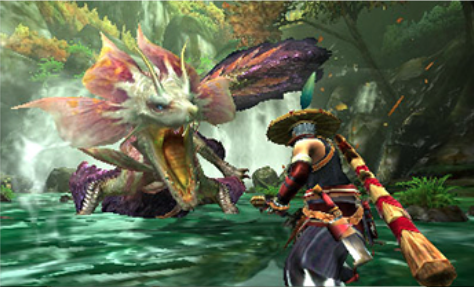 Hunting styles are the product of Capcom’s observations on player behavior during Monster Hunter’s long history. They realized that some players adopted their own methods of fighting and thus sought to grant them a more specialized mechanic to complement their chosen styles. Aside from changing your hunter art count, hunting styles also change weapon move sets; they can remove certain combo attacks but grant you more specialized moves in return. None of this is locked per character, like weapons and armor, players can freely opt to change styles and arts whenever they want to suit their needs. 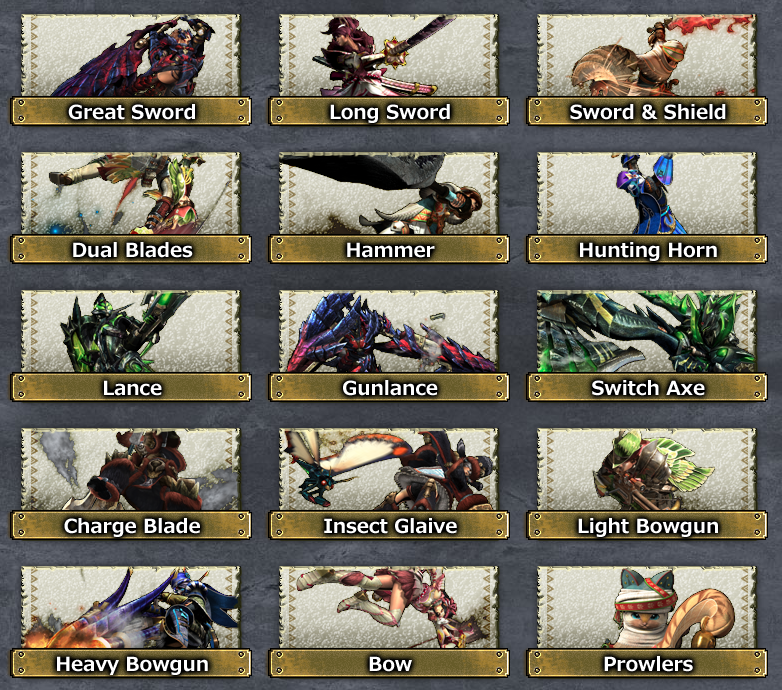 This buffet of options truly makes Monster Hunter Generations the most customizable game in the series to date. There’s always something for anyone and everyone, one just has to know where to look. If that sounds a bit overwhelming, that’s because it is. Until today, Monster Hunter is notorious for its steep learning curve and unforgiving brutality. Not knowing how to prepare for the environment or a monster’s attack patterns and quirks could prove to be fatal, very, VERY rapidly. When your health drops to zero, you faint. If you or any of your friends faint more than twice on a quest (thrice under certain conditions), it’s considered a failure and you gotta start all over again. Most newbies to the series often find it surprising that all monsters don’t sport health bars as well, not visible ones at least. While off-putting for some, this is honestly where the game gets its name. Much like reality, the thrill of the hunt comes from knowing and predicting what your target will do and where it will go. You assess their physical condition not with a health bar but from telltale signs that only experience can grant you. 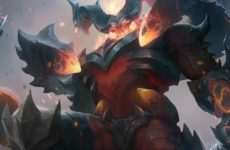 Preparing for all of that can be daunting for a new player, but the feeling of having triumphed against those odds is truly unlike any other. But again, somehow, Generations has an option for a more casual experience as well. New to the franchise is the ability to play as the series’ fictional cats, the Palicos. Known as Prowler mode, this rather endearing gameplay mode literally allows you to play the whole game as an anthropomorphic cat. Weapons and armor in this mode are easier to make, skills are far more streamlined and combos are very basic in nature. Let us not forget about the real stars of the show here though, the monsters. These creatures that inhabit the world of Monster Hunter range from being the size of a motorcycle to the size of a skyscraper. As for their traits, well; some have fangs, some have wings, some have beaks, some have claws, there’s one with a mace for a tail, there’s another with a blade for a tail, one of them has explosive saliva, laser beams? got those too, pyromancy, cryomancy, electromancy, poison clouds everywhere, pressurized wind…you get the idea! There’s A LOT to these monsters, and I mean A LOT to them. You can tell some folks were giddy with joy when brainstorming these beasts because their designs stand out significantly, they have extremely defining traits but most of all, every single one of them feels like a different experience. Some are relatively easy to beat, while others (most of them) are just a wall of pain and suffering that serves to remind you that we will all inevitably die someday. That’s when you either go for better gear, adjust your strategies, or ask around for some help. Speaking of which, let’s talk about the multiplayer of this game. It’s great. Though the game does sport a single player mode, its real selling point is its online element. In Monster Hunter there is always an area where players can join forces either through local area networks or the internet. This area (called the Hunter’s Hub in Generations) possesses quests unique to it that does not exist in the campaign. While they can be done solo, they can be done way faster and more painlessly with others. In terms of connection quality, the game actually does a great job keeping up with the movements of both the monsters and the hunters. I’ve personally only experienced abrupt disconnections and lag issues a few times in the 150 over hours I’ve put into this game and even then, re-establishing said connections can be done in seconds and the lag tends to go away after awhile. All that being said, the game does have its fair share of shortcomings. The hitboxes mentioned earlier, while mostly accurate can be a bit screwy sometimes. Resulting in sometimes unfair damage and even death. Since monster attack patterns are entirely up to RNG, they can occasionally corner you and stunlock your character while you tap every button possible in the hope for some divine intervention. In all fairness, those incidences don’t happen extremely often, but are enough to leave a sour taste in your mouth for weeks. Some may also complain about the graphical quality presented here and while I do agree that the franchise is just begging to be brought back to powerhouse consoles, what it does on the 3DS is so refined and enjoyable that the issue just pales in comparison. One of the real issues with the game however, lies in its quests. There’s an unbearable amount of fetch quests in this game, ungodly amounts of them. They’re not even designed to be unique in particular; you have quests that require you to collect ferns, other times it’s eggs and they’re both the exact same thing just with different names. I mean just verbalizing it sounds ludicrous; you’re collecting ferns in a game called Monster Hunter…FERNS. And in your next quest you have to collect berries?! What a treat. I’d ask why these quests exist more so than ever in Generations, except the reason has been evident since the first game; padding. Generally speaking, Generations has significantly less content than its predecessor Monster Hunter 4 Ultimate, and I suppose their logical remedy to that is to cram these asinine quests in. Which is in itself rather perplexing as even though it has less meat on its bones this time, most players will still clock in over 100 hours for this game and that’s nothing to scoff at. All in all, though flawed, Monster Hunter Generations continues as a great entry in this series that is predicted to surpass even Capcom’s Street Fighter in lifetime sales. It’s an unbelievable game that will provide hours upon hours of fun with friends or when you’re alone on the commode. Unlike so many games these days that provide little or even unfinished content yet constantly demands for more money, Monster Hunter Generations delivers everything on day one at the usual price of a 3DS game (RM179 on launch). Oh did I also mention that it has DLC released every month? For free? Because it does. I only wish the best for this series, and that it continues to break the molds set by the unscrupulous companies that dominate this industry. The one phrase that rings strong and loud amongst fans of this franchise is “Happy Hunting!”, and I can guarantee I’ll be doing a lot more of that in the foreseeable future. Previous Post Should graphics novels and mangas be allowed in school libraries? 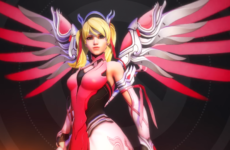 Overwatch Releases Exclusive Mercy Skin To Help Support Breast Cancer Research!